After hours of deliberation Greek municipal workers have decided to suspend the strike that has crippled the Greek capital for more than a week. The municipal workers union (POE-OTA) which represents the garbage collectors has decided to end the strike and start immediately collecting the garbage. 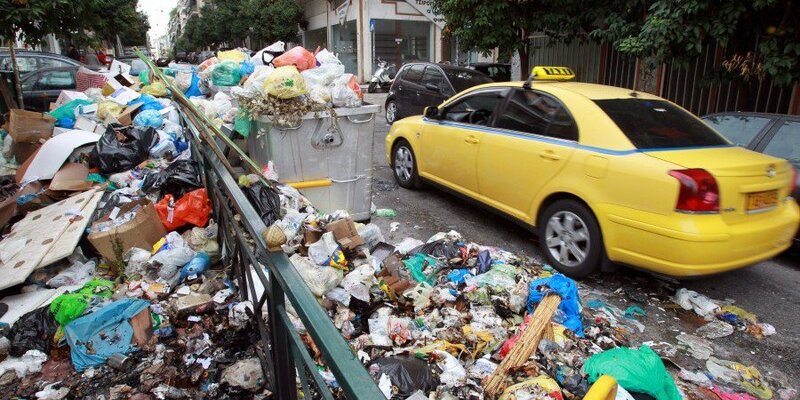 The decision to suspend the strike will come as a relief to Athenians that had to endure a city covered in piles of garbage for a second consecutive week. Emergency municipal crews have been picking up trash as high temperatures contribute to the decomposition of waste, posing serious health threats for citizens.